Are you looking to jazz up a boring lunch routine? 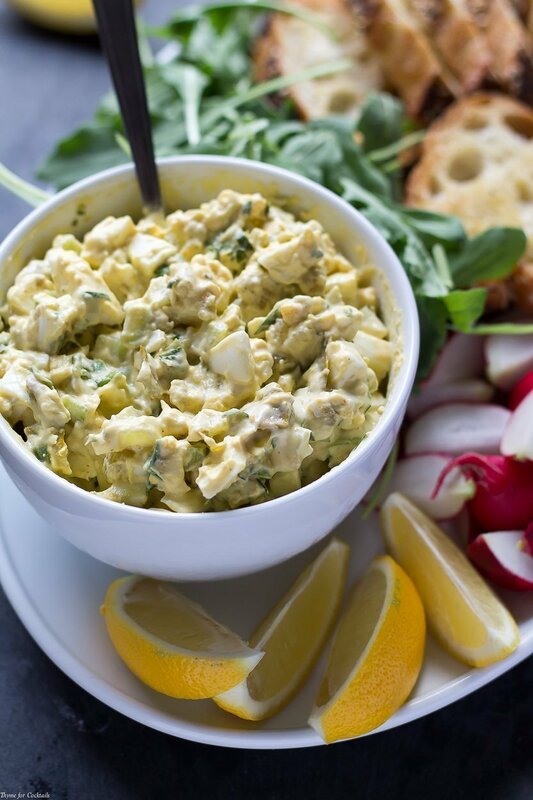 Once you try this Green Chile Blue Cheese Egg Salad recipe you’ll never want plain egg salad again. Chopped eggs, celery, and green chiles are tossed with blue cheese dressing and a dash of hot sauce to create a lunch creation you won’t be able to resist. Are there recipes you tried as a kid that you thought were absolutely horrible, then you finally decide to try them as an adult and it’s love at first bite? That’s me and egg salad. Creamy mayo-based salads have never really been my thing. I like to mix them up with Greek yogurt, ranch dressing, or in this case blue cheese dressing! I can thank a good friend of mine in Arizona for the idea of blending blue cheese and green chiles together. He is a restaurant guy and whipped up this unique concoction one day at work. It was probably the first time I realized I like blue cheese. There is just something great about the combined tanginess! 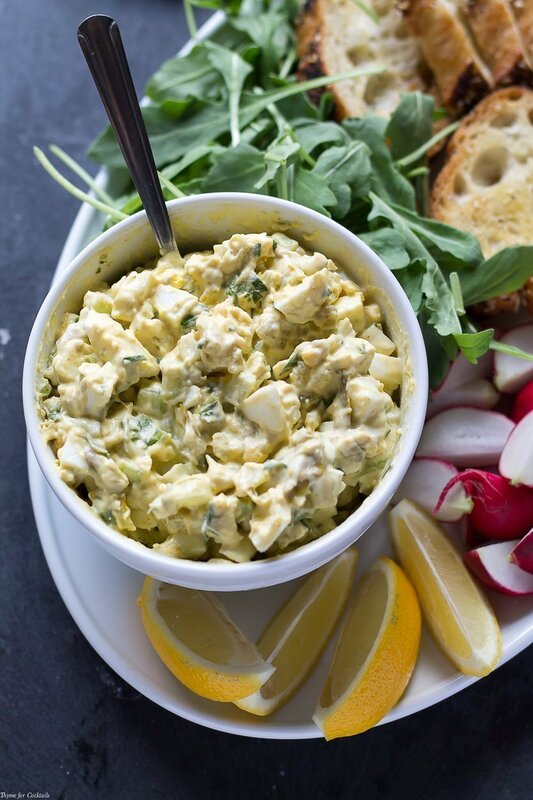 Greens like spicy arugula and lemon slices really balance out the richness this Green Chile Blue Cheese Egg Salad recipe. We also snacked on radishes too which can a have a bite to them as well. I recommend a sweet Riesling or another similar wine to compliment the bold flavors of this dish. And don’t forget to use the freshet eggs possible! Feel free to go old school and make a sandwich for one or do like we did and spoon it onto buttery crostini. 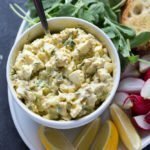 Hit up your local farmers market this weekend for the ingredients you need for this unique Green Chile Blue Cheese Egg Salad recipe. 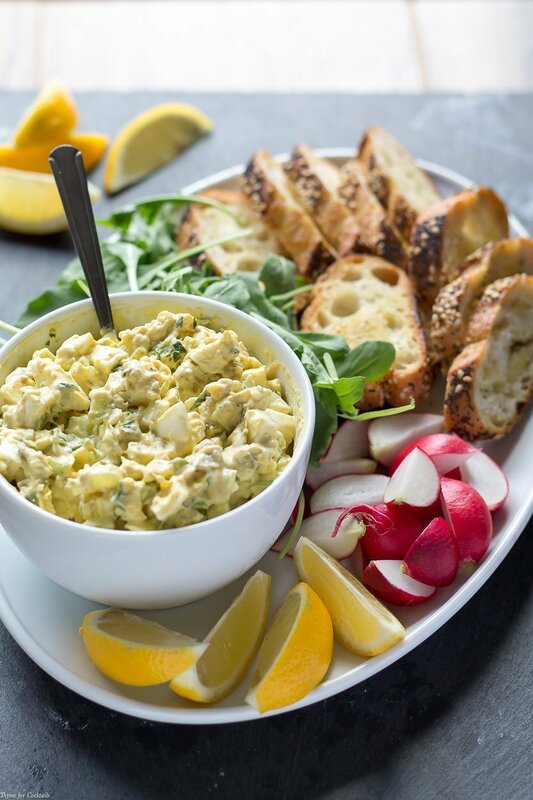 For tips on how to make the perfect hard boiled egg check out this post. Add eggs to a medium sized bowl. Mix in remaining ingredients. Adjust amount of blue green dressing to reach desired consistency. Salt and pepper to taste. Chill covered for 1 hour or overnight. 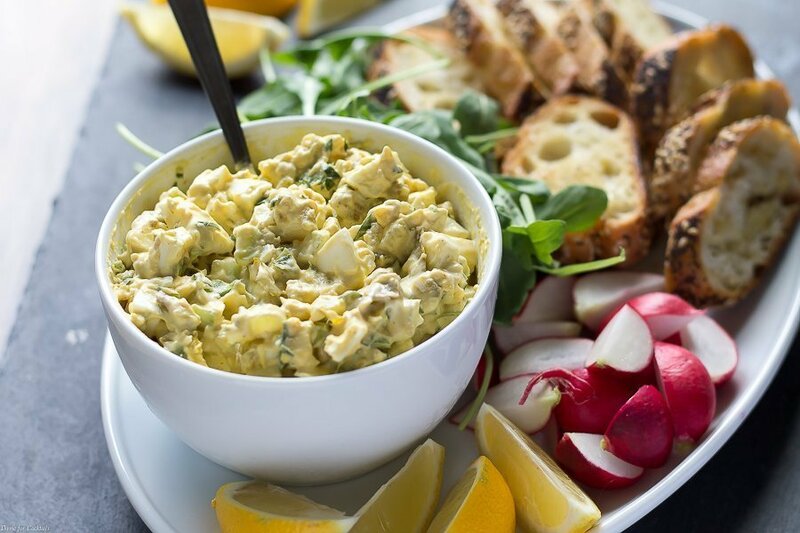 Serve with toasted bread, lemon slices, and radishes.